Augmented Reality is bringing revolution in the retail industry by introducing AR solutions for the most pressing concerns of the companies. The retail companies are paying attention towards improving the in-store experience for their customer. For that very reason, companies are digitalizing their shelves for revamping the whole in-store experience. Brands can use the augmented reality technology to improve the placement of the product on the shelves. A few years ago, even the thought of something like that didn’t even exist. Through the mobile phone app, a sales agent can take a picture of a shelf and the marking on the picture will guide the agent about what they have missed or which items are missing. Data keeping was always considered as an important and difficult task but with the help of such AR-aided apps, in-store data keeping has become efficient. AR has indeed changed the way of store audit. The ease AR is offering to retail companies is of no match. Shelf Capture Assistant is capable of performing an accurate audit of the shelves in less time. It also gives deep knowledge of the store for better store performance. Many software companies are pushing the curtailment of the computer vision for the retail industry for managing their shelves and monitoring the audit. 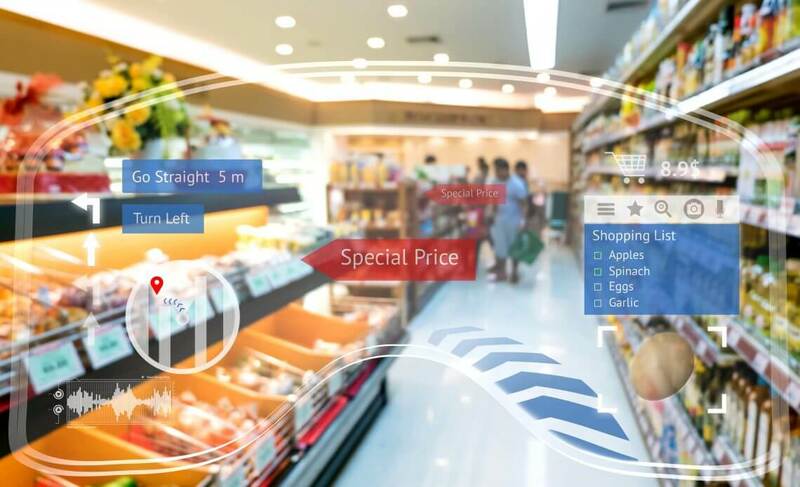 Augmented reality is providing excellent solutions for the retail industry making it easier for the businesses to stay in competition by improving their in-store experience thus attracting more and more customers.